NOTE: This message has been sent on behalf of the Herreshoff Marine Museum by the CCYR. Your email privacy has been maintained. Celebrating all aspects of classic yacht design, restoration, reproduction, maintenance and use, featuring experienced presenters to promote professional and amateur excellence. This is your opportunity to meet and connect with this amazing community. 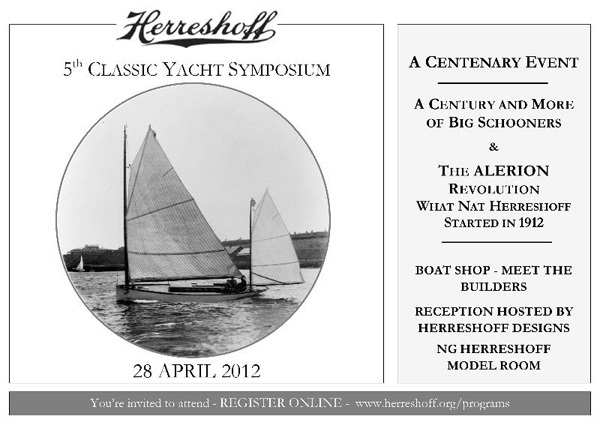 The symposium will be held at the Herreshoff Marine Museum.